Baked this delicious sunflower yeast bread this morning. 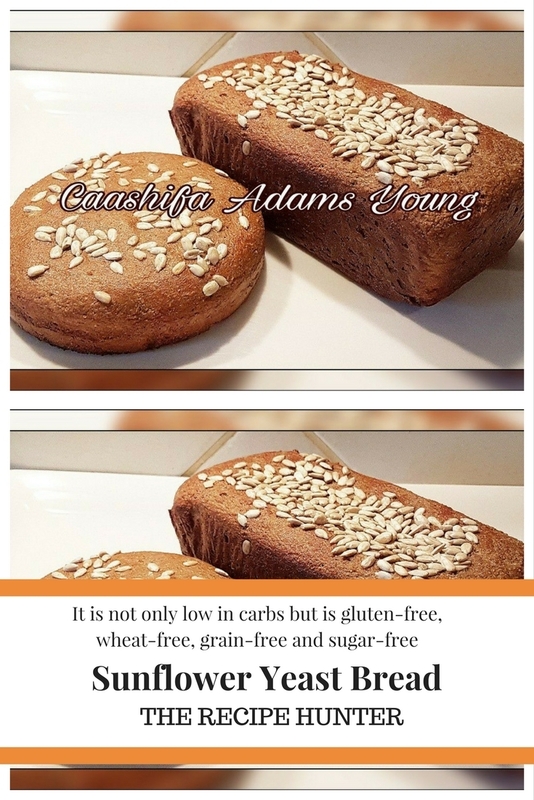 It is not only low in carbs but is gluten-free, wheat-free, grain-free and sugar-free. Whisk the flour, psyllium, baking powder and salt together. Set aside. In a small bowl add yeast, honey, and water, mix then let it rest while beating the eggs in a separate bowl until light and fluffy. Combine the flour mix with the eggs then add the yeast mixture and mix until well combined. Rest for 5 minutes. Scoop the batter into a lined bread tin and smooth the top. Allow cooling completely in the tin before slicing.